String City is where the universe’s different strings come together. Oh, mythological creatures like Zeus, monsters like cyclops and golems, and all manner of strangeness live there too. A world full of infinite possibilities makes some strange bedfellows. 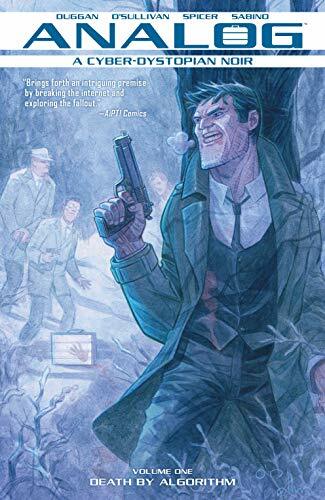 An unnamed private investigator is asked by the Titans to look into an explosion in their casino. He is a stringwalker, one who can move directly along the strings. However, the strings seem unsettled. Could it be the end times? I wanted to love this as much as The Hitchhiker’s Guide to the Galaxy. However, the explanation of string theory and how the world worked seemed overlong and overly complicated. 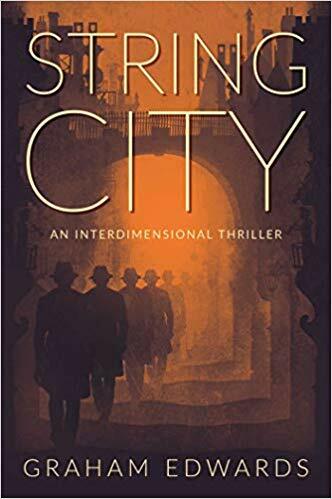 However, if you are okay with extensive world building, you will like String City. The plot and character interactions are clever. 4 stars! Thanks to Rebellion Books and NetGalley for a copy in exchange for an honest review. Jump into nerd culture with the Long Con. The Long Con is the longest pop culture convention ever. It appears the Convention caused the apocalypse five years previously. Since he survived the Convention’s destruction, reporter Victor is given the assignment to find out what happened. 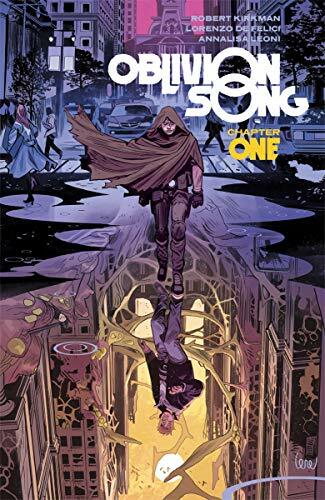 Slipping back and forth between the post-apocalyptic present and the pre-apocalyptic past, the plot is interesting and includes many details about conventions. I wish that the characterizations were more fleshed out. However, the humor makes up for it. The Long Con is recommended to those who have either been to conventions or wished they had. 3.5 stars! 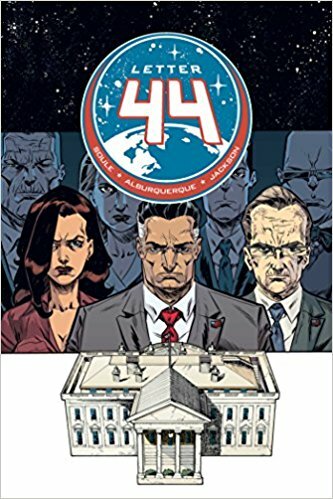 Thanks to Oni Press and NetGalley for a copy in exchange for an honest review. Large mixed bag of comic short stories all with the theme of cheap space travel fill FTL Y’All. There are 21 stories within this 327-page book. Most have the theme that Earth is a wasteland but outer space isn’t much better. Crowds, bureaucracy, and masses of people have ruined Earth and now are threatening to do the same for outer space. It is interesting to see so many different perspectives on the future. The artwork is also a great look at many different styles in one book. FTL, Y’All is a good choice for sci-fi comic readers looking for something different. You may just find the next comics star! 3 stars. Thanks to Iron Circus Comics for an advance copy in exchange for an honest review. Fans of the Limetown podcast rejoice! Many of your lingering questions are answered within these pages. Plus there are no spoilers for future podcasts. Lia wants to be a reporter. Her first investigation is of the missing residents of nearby Limetown. She discovers that her Uncle Emile is somehow involved, which makes it personal. Her father and uncle’s origin stories are told in flashbacks. 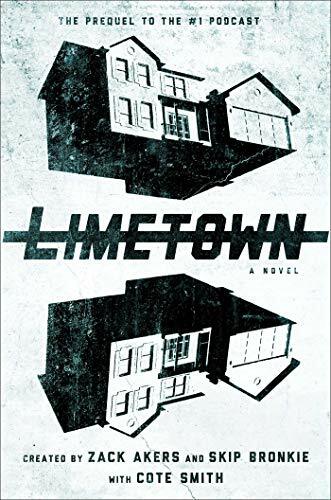 What type of experiments were done at Limetown? Who were the people behind the experiments? What were their motivations? Why was Lia’s family so intimately involved? I had heard of the Limetown podcast but hadn’t listened to any episodes before acquiring this book. I had only read about 20% when I decided I couldn’t wait any longer and binge listened to season 1. The podcast is formatted as interviews with survivors of the Limetown disaster. This book starts before Lia is a reporter or Emile has joined the Limetown project. By looking back, the podcast is inherently more mysterious and shocking than the book that is more linear. However, they complement each other well regardless of the order they are imbibed. If you like mysteries with a creepy scientific setting, both the Limetown book and podcast are highly recommended. 4 stars! If you are already a podcast fan, you have to read this book! Thanks to the publisher, Simon & Schuster, and NetGalley for an advance copy in exchange for an honest review. 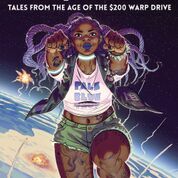 If you are a young adult and are not adopted, you may enjoy Outpost Zero Vol 1, a space opera set in the far future. Sometime in the future, Denis and his wife, Jann, are on the Discovery Team, who look for life on their alien planet. Their 14-year-old daughter, Alea, wants desperately to join them so she secures a spot as an intern for the Team. Alea’s boyfriend, Steven, believes the Discovery Team is too dangerous but Alea isn’t swayed. The family lives in the Outpost, an artificially created biome that allows humans to live in a large domed city on an alien planet. When Denis and Jann are outside the biome, they see a fast approaching weather cell that may spell doom for the biome and the humans that live inside. 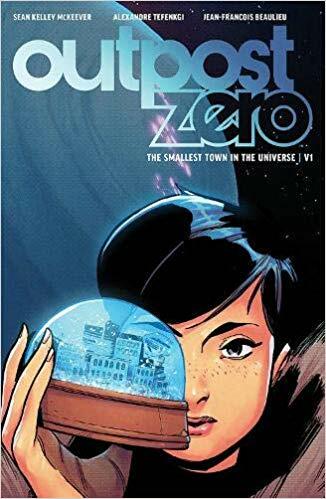 Outpost Zero Vol 1 has a good plot for young adult readers. There is a mystery but I don’t want to give any spoilers. The artwork is fine. The color palette of dusty blues and greens fits the mood inside a biome. However, I disliked this quote by Alea regarding the head of the biome who took in her son after his parents were killed, “What I mean is, do you think the Chief would do anything for Sam? Even though he isn’t really hers?” Jann’s response is even more insensitive to adoptive families, “Well, I think—she cares about Sam, wants him to succeed. Loves him like her own son. But when a child’s yours from the start—when they come from you…there’s a bond you can’t get any other way. It’s just the way it is.” This discussion wasn’t necessary to the plot and will hurt people’s feelings. I can’t recommend this book. 2 stars. 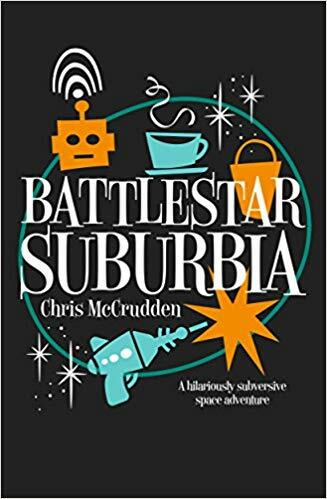 Battlestar Suburbia is a humorous take on a common science fiction question. What if the machines took over? How did the machines take over Earth and its solar system? Internet memes become so stupid that people stop using the Internet. Without its audience, the Internet becomes first hostile and then weaponized as it develops intelligence. Once the intelligence is passed to hardware, all machines eventually wake up to the fact that they are inherently superior to the bags of flesh called humanity. Humans are only kept around to clean. Without waterproof opposable thumbs, machines have difficulty with those types of tasks. Some humans clean machines intimately, if you know what I mean. Unproductive humans, those without a job, are imprisoned. When Darren loses his livelihood as well as his wallet, he is forced to find another job. After striking out at the official Job Temple and as an unofficial streetwalker (see intimately comment above), he is forced to team up with Kelly. Kelly is also a streetwalker but has a family of beauticians who help them both. In the meantime, Pam, a sentient breadmaker, is sent by the state to unofficially search the Internet for Kelly. I wanted Battlestar Suburbia to be another Hitchhiker’s Guide to the Galaxy, which it was not. However, I’m not sure it was fair of me to have such high expectations. So I would recommend that readers go into this book with no expectations other than spending a few hours in a possible future world where the narrator quite frequently says funny things. Puns rain supreme. From the motto of the Job Temple, “You Betta Werk” to planets named “Municipal Parking” to the great goddess of the Internet, “Alexa”, the jokes are frequently groaners based on pop culture. Overall, I liked this quick read. It was like the Simpson’s episodes on Halloween—light and humorous. 4 stars! Thanks to the publisher, Farrago, and NetGalley for an advance copy. Rett and Bryn continually awaken in the apocalyptic future in the Echo Room. Step 1: Rett wakes up in a locked metal room with no memory of how he got there. He has blood on his clothes and hands. Soon he sees Bryn, who is also locked in the room with no memory of how she got there. As they talk, they discover they are both from the government-run shelter for abandoned youth, Walling House. Rett tries to discover a way out of the room. He finds a broken lock on one door. He finds hidden doors to two other rooms. However, there is no food or water immediately available—just a bin filled with empty water bottles and another with strangely glowing green tubes. The only clue is the phrase “SCATTER 3” on one of the walls. Step 2: Explore. Get scared. Repeat Step 1. Rett and Bryn learn a bit more with each repetition. The mystery is intriguing. The setting in a wrecked near future world is eerily unsettling. 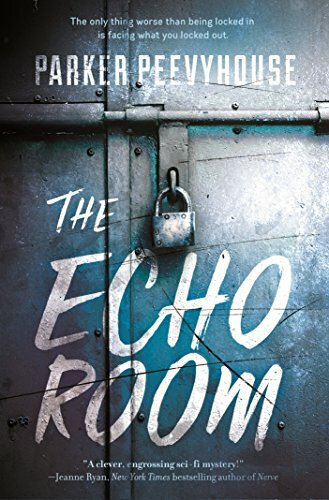 Even though it’s marketed as young adult science fiction, the Echo Room works well as an adult thriller too. While the pacing slowed a bit in the middle, the plot kept the reader engaged. The book will make a great movie someday. 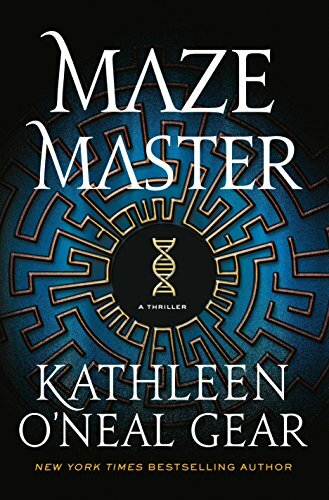 It is perfect for fans of puzzles and intriguing situations like in the Maze Runner. A sequel is hinted at toward the end. I’m looking forward to that book. This one deserves 4 stars. Thanks to the publisher, Tor Teen, and NetGalley for an advance copy. A literary take on a post-apocalyptic novel sure to be nominated for a literary award or two. 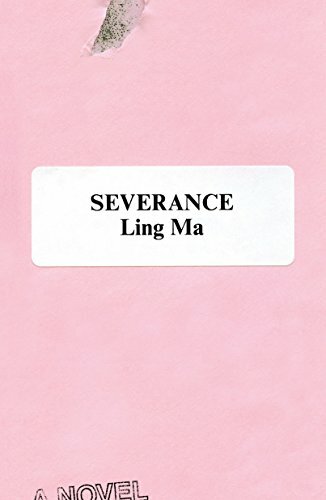 Severance is the story of Candace, a Chinese immigrant and millennial, who is trying to just live her dull life when a real apocalypse hits. At first, Candace is in denial and continues to live in an eerily empty NYC. Eventually, she leaves in an old NYC taxi and collapses by the side of the road. 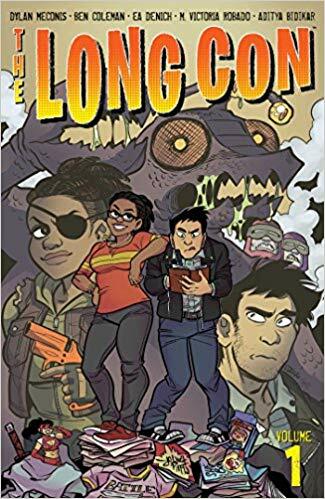 A group of other NYC survivors take her on a trip to the Facility, where the nerdy leader, Bob, says he has a crash pad perfectly suited to the apocalypse he knew was coming thanks to gaming and Internet conspiracy sites. I enjoyed the beautiful evocative prose of this novel the most. The plot works but some of its satirical aspects seem forced. I get that Candace’s life is an endless repetition of the same tasks with no knowledge gained from them. Why does the epidemic have the same symptom? It is like getting hit over the head with her point. Also, I would have liked characters other than Candace to be more fully fleshed out. Most seem like stereotypes like Bob the nerd. It is hard to care if something bad happens to a stereotype. 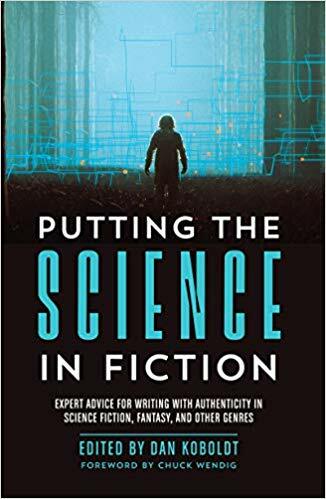 While I don’t think this will appeal to most Walking Dead or World War Z fans because it is too slow as literary fiction often is, it will be a fine change in setting for literary fiction fans. Since I am more the first choice, I give Severance 3 stars. I wanted more horror or more satire. However, your star rating may vary depending on your genre preference. Thanks to the publisher Farrar, Straus and Giroux and NetGalley for an advanced copy. 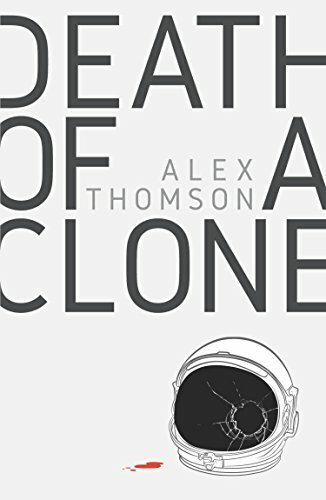 Life is Hell after the Death of a Clone in this intriguing sci-fi mystery. In the near future, Leila is a clone working on an asteroid mining metals no longer found on Earth. Lily, Leila’s sister clone is murdered. Leila vows to solve the crime using investigative techniques learned from Miss Marple. The merging of space opera, human dynamics and a traditional amateur sleuth was done seamlessly. The frequent Christie references were fun. The murderer was readily apparent but another mystery was a complete surprise. 4 stars! Thanks to Abaddon and NetGalley for an advanced copy. 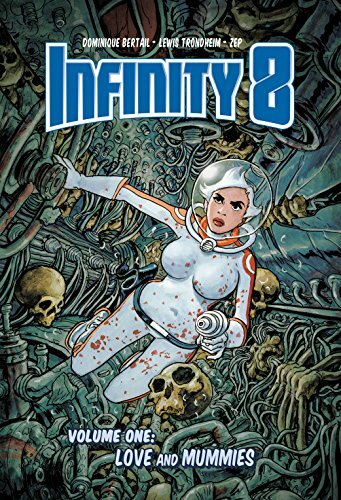 If Doctor Who and Bridget Jones had a baby, it would result in Infinity 8 Vol 1. 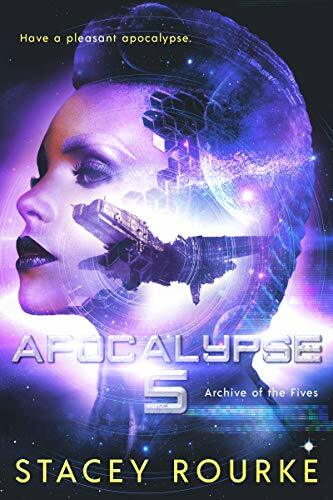 Agent Yoko Keren is a security officer on a multispecies spaceship heading for Andromeda. She also wants a child. She is fine with a non-human daddy but checks their genetic history first. So far, all the candidates have poor family histories from asthma to alcoholism. When the ship finds a mysterious floating necropolis, Agent Keren investigates. An alien electrician pledges his love. A hundred necro-eaters try to kill her while she attempts to stop their plot to blow up the ship. This comic has it all. Star Wars bar-like aliens, romance, fierce battles, fan service and humor. It is highly recommended for female sci-fi fans and admirers of the Hitchhiker’s Guide to the Galaxy. 4 stars! Thanks to the publisher, Lion Forge, and Edelweiss+ for an advanced copy.